Seven Brides for Seven Brothers, Miracle on 24th Street, Five Easy Pieces, Three Colours Blue, Fahrenheit 541, The Seventh Seal, Ocean’s Eleven, 20,000 Leagues Under the Sea, The Ten Commandments, Apollo 13! And add on to that the creepy Jim Carey Movie “Number 23” and one can gather that a lot or people go nuts about numbers. Above all Hollywood. Welcome to “Number City” and numerology! We all know numbers are an important part of our lives. We might worry more about numbers when we hit 50, they can only go up faster after that! Seriously, numbers play on our sensitivity. For example, the numbers 666 make us cringe a little, rumours of the Antichrist and 999 do not cheer us up one bit either. But number 99 has been used in a popular Chinese-American supermarket chain called “99 Ranch Market”, so not everyone dreads a double or treble nine. Some people dislike Number 13 so much so that certain houses are built without a 13th floor! Phobias may be, but 13 is also the number of the Tarot pack Death card. Perhaps fear of numbers has to do with those ancient civilisations and the power their mythology still has over us. Look at the whole Maya 2012 “world ending theory”, yet some might say 2012 is “just a number”. Lucky numbers which can be useful by the way are 888, which means “wealthy, wealthy, wealthy” Writing that on your front door might help a windfall to drop in your lap! Numerology has also a lot to do with Babylonia, Pythagoras, early Christian mysticism, the Kabbalah, the Indian Vedas and the Chinese “Circle of the Dead”. There are three basic systems that a numerologist will possibly access during a numerology reading called the Pythagorean, Chinese Numerology, and Chaldean systems. A numerology reading works on the basis that every number has characteristics that influence an individual’s life path or destiny. A numerology reading will be based on your prime number and how it splits off into variants via your date of birth and the letters of your name. Subsequently, all these facts will be thrown into the “Computation Cauldron” to come up with that fu numerology reading. Sometimes a numerology reading will take into consideration mystical numerical patterns written within the enigmatic Ancient Torah. As a result a numerology reading could detect deep inner soul motivations and karmic tendencies. A numerology reading helps us decipher the core of our existence, guiding us with the help of numbers. According to metaphysical concepts, numbers also have an eternal frequency significant permeating with great meaning and possibility, rather like planetary combos in astrology. Mathematical physicists like James G Gilson would not balk at a numerology reading in our book, especially since he created a “Quantum Theory of Gravity” system based on a numerological hypothesis. And in his 1997 book Numerology: Or What Pythagoras Wrought, Underwood Dudley, a well thought of mathematician, uses a numerological technique to analyse the stock market. A numerology reading could also be useful when we are looking into winning competitions. 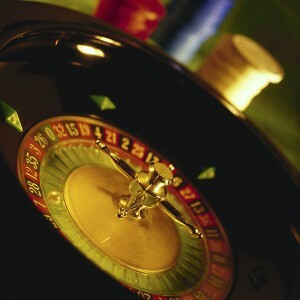 Bingo, roulette and lottery players often use number strategies that claim to win prizes. Lucky numbers come into this; most folks have personal ones that an experienced numerologist can identify. So one, two, three, four, gather your numbers together and investigate the magic of your personal numerological reading. The mystery of how numbers relate to you and describe the inner workings of your soul might astound you!